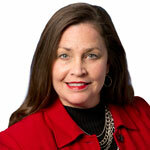 Wendy Mann, CAE is chief executive officer of CREW Network. With 30 years of association management experience, Wendy brings to CREW Network a passion for commercial real estate, her strategic vision for the association and a commitment to mentoring and advancing women. Wendy believes that connecting, collaborating and communicating are key to our success in building relationships and creating change within the industry. Her personal passion is storytelling and she shares this regularly through CREW View, our CEO and leadership blog. Subscribe to CREW View to keep up with what happening across CREW Network and the CRE industry as Wendy and our guest bloggers share their perspective, expertise and experiences across the Network.